OWNERS OF THE Cleveland Plain Dealer have announced plans to gut the newsroom staff by one-third — 58 positions from a newsroom of 168. The number of days the paper is published might be cut, too. If that playbook sounds familiar, it should — the owner is Advance Publications, the same outfit that laid off some 600 people at the New Orleans Times Picayune and its three papers in Alabama, and ended daily publication. 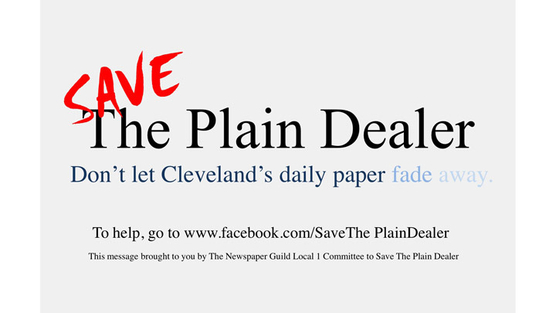 Staff at the Plain Dealer knew cuts were coming and started a “Save the Plain Dealer” campaign | Facebook page. There also is an online petition at change.org. Friends and supporters, we wanted to let you know that The Plain Dealer has told the Guild it plans to reduce the number of Guild members in the newsroom to 110 next year. Guild members are the heart of the paper. They report, photograph, copyedit, design, draw, create graphics, archive information, edit and so much more. 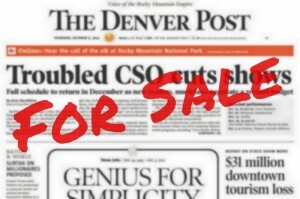 The reductions, which represent about 1/3 of our membership, would be devastating to the news-gathering operation.